Its no secret that Evelyn is a huge fan of surprise toys. 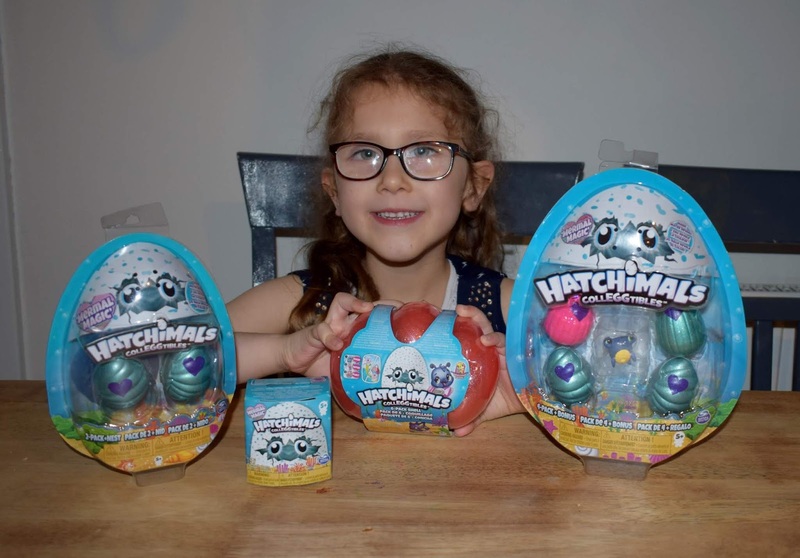 She has quite the collection including several Hatchimals from previous series, however she was super excited to see that Hatchimals CollEGGtibles season 5 had a special twist, Mermal Magic! For the first time ever Hatcimals CollEGGtibles have introduced a mermaid themed collection that are not only very cute but they also change colour in warm water! 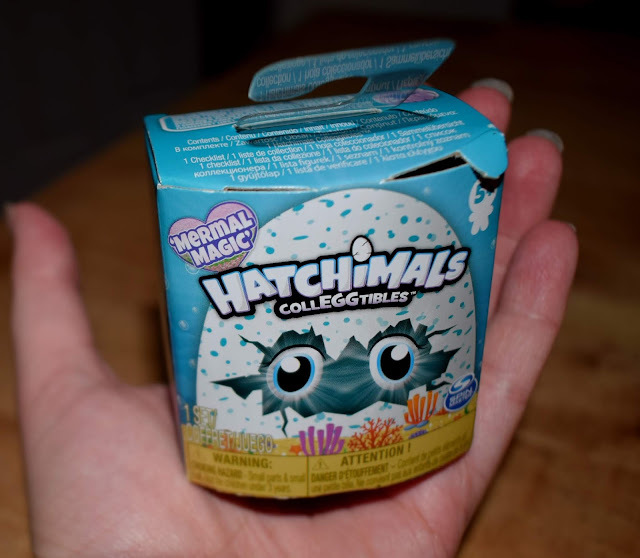 If you haven't heard of Hatchimals CollEGGtibles they are small speckled or shimmery eggs which each contain a surprise Hatchimal character. You won't know which character you get until you crack open the egg, although the colour of the egg/shell can be an indicator as to whether your Hatchimal might be a rare! To open the eggs you rub the small purple heart on the front of the egg/shell, as it warms up it will turn from purple to pink. 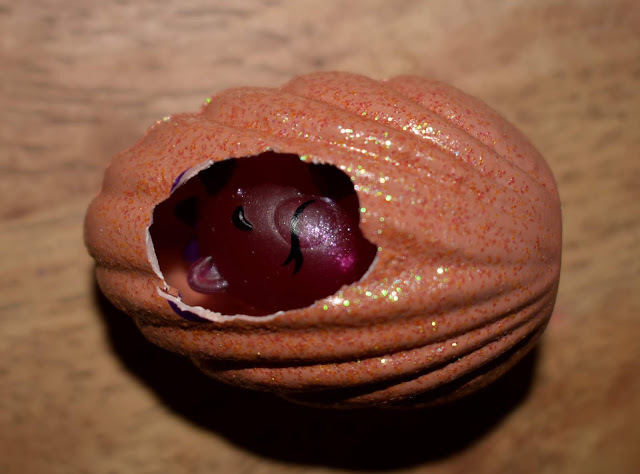 When this happens you are ready to hatch your Hatchimal by pushing down on the heart with your thumb, which will crack open the egg. 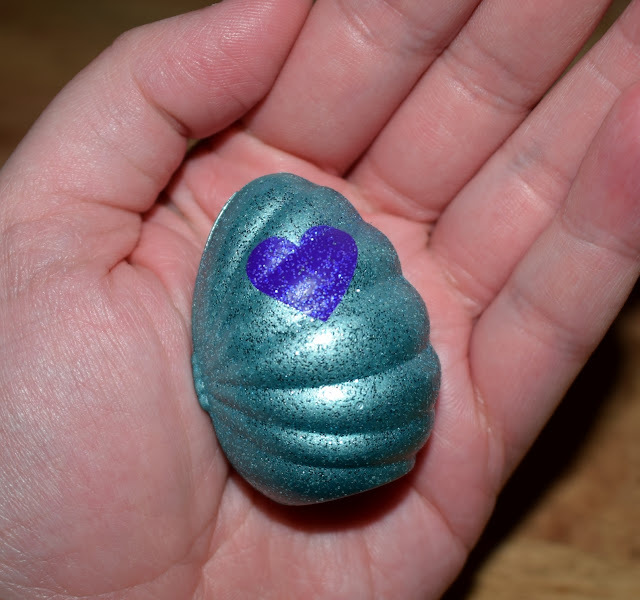 The new mermaid inspired mermal magic collection come in shimmery shell-shaped eggs which you crack open to discover your mermaid inspired Hatchimal. The single packs make fantastic pocket money toys and a great way to slowly build up a Hatchimals collection without breaking the bank. You still get all the fun and excitement of cracking open the egg and finding a surprise character but for just a few pounds. I definitely think that the shell pack was Evelyn's favourite though as these characters have an extra special surprise waiting to be discovered. The 6 pack shell contains exclusive characters that each hold a gem which appears blue when opening. However when you place them into warm water the blue comes away to reveal a beautiful coloured gem underneath. The shell pack also contains a shiny sheet of stickers, perfect for personalising your Hatchimals carry case and the carry case itself ensures your Hatchimals are kept safe and secure when not in use. 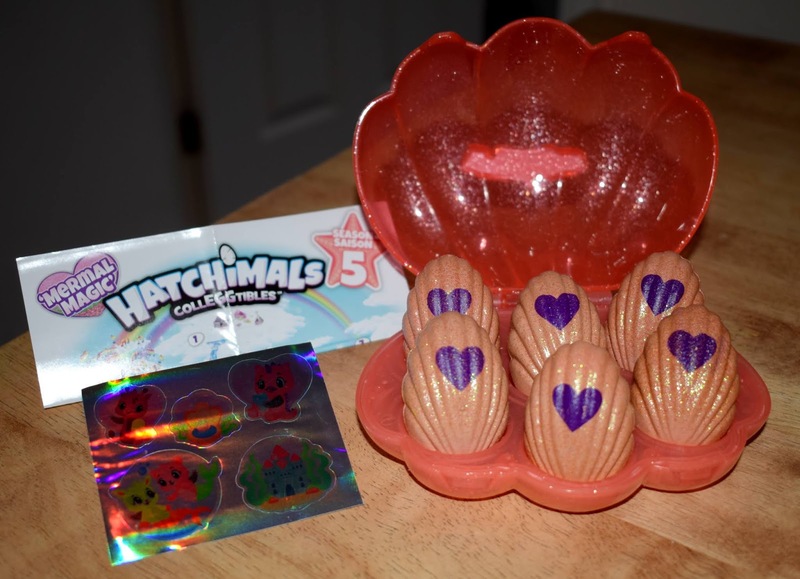 Here are the 6 Hatchimals we found inside our shell. Evelyn has absolutely loved opening this new series of Hatchimals CollEGGtibles and finding lots of new characters. The colour change element is a great edition and adds an extra layer of enjoyment for Evelyn for sure. The range is aimed at children aged 5+ and Evelyn will be 5 in June and she really did enjoy not only the opening of them but playing with them afterwards too. She did find pressing down on some of the eggs quite tricky to make that first "crack" but once I helped a little with that she was absolutely fine. There are over 80 characters to collect in the new Hatchimals CollEGGtibles range which includes mermal's as well as characters from Sunshine Surf, Racing River and Mischief Marsh. The season 5 collectors sheet which is included in every pack allows you to tick off each character as your find them. It also features a fun map which shows you where each character is from and which family it belongs too. As with other series there are a variety of characters to find including rares, ultra rares and some will even contain twins! 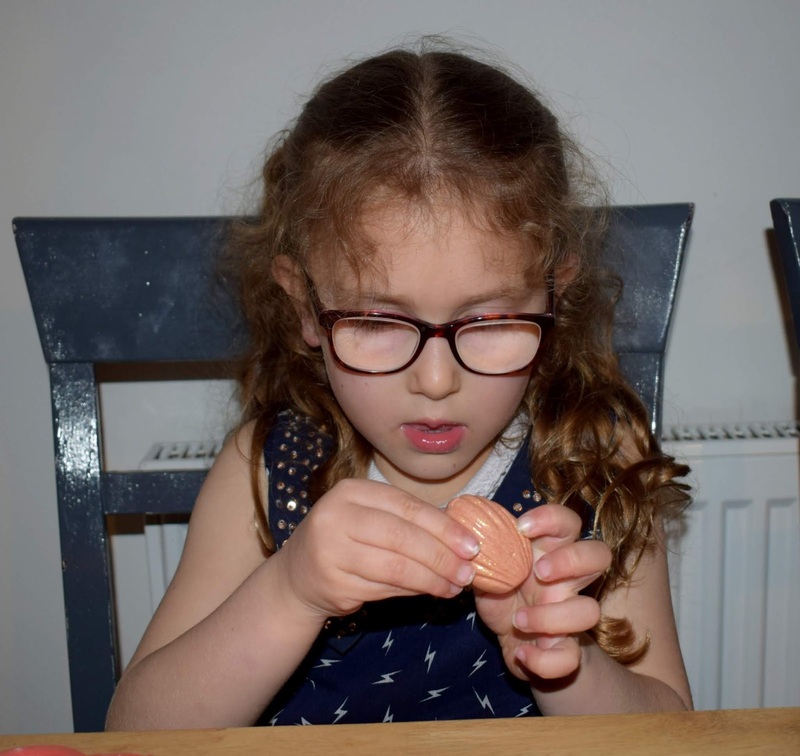 The surprise and excitement of it all definitely was a winner with Evelyn and the rubbing of the heart and cracking open the egg make the suspense last a little longer than just tearing off a wrapper. 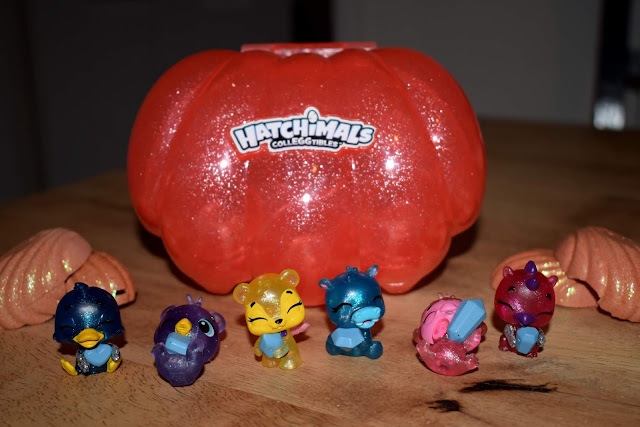 The colour change of both the characters and gems from the 6 pack is a lovely added extra surprise and water play seems to always go down well with kids so is a great addition to this latest season of Hatchimals. This Hatchimal collection has definitely sparked Evelyn's imagination and she has had so much fun playing with these since hatching them. She has kept several shells to play with too and is currently using the half shells as little beds for her collection. 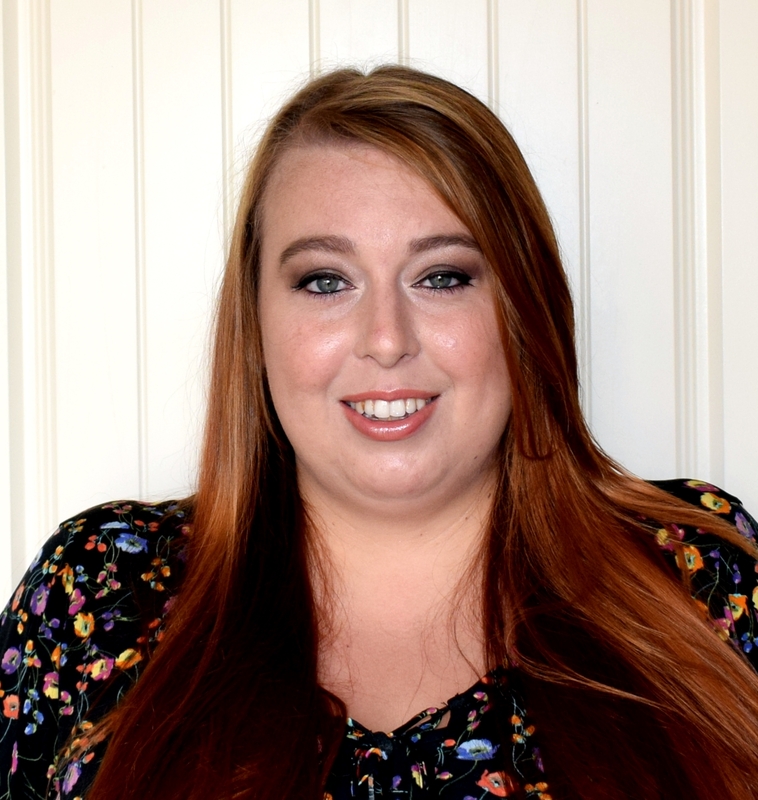 If like Evelyn your kids love playing with Hatchimals too you can even buy little playsets designed for the little characters including a mini water slide playset and coral castle playset! 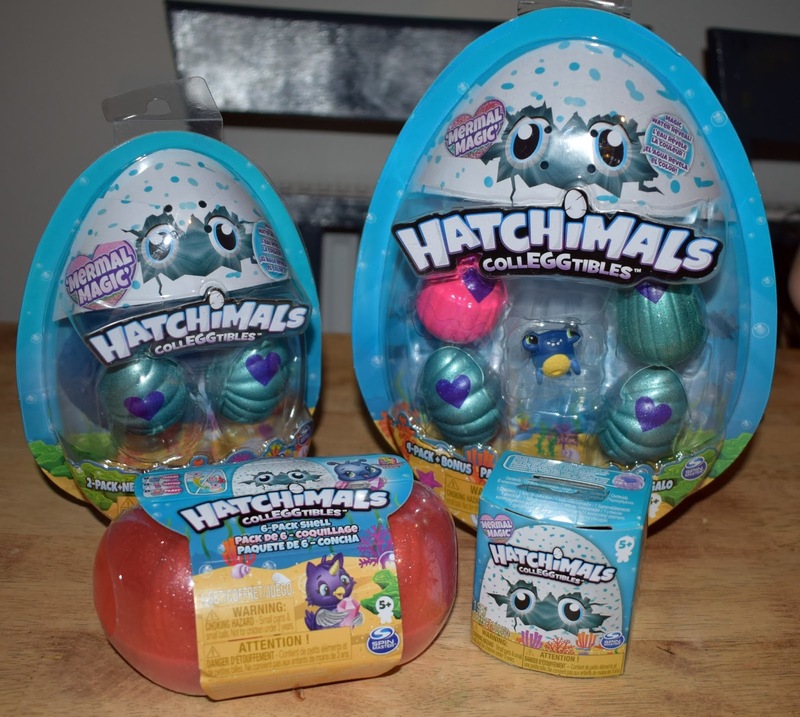 Hatchimal CollEGGtibles are recommended for children aged 5+ and are available to purchase currently from Smyths and Amazon. These are such a good idea at this time of year and such a great alternative to chocolate easter eggs! 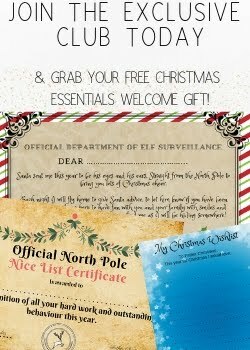 Aww now these are absolutely adorable! 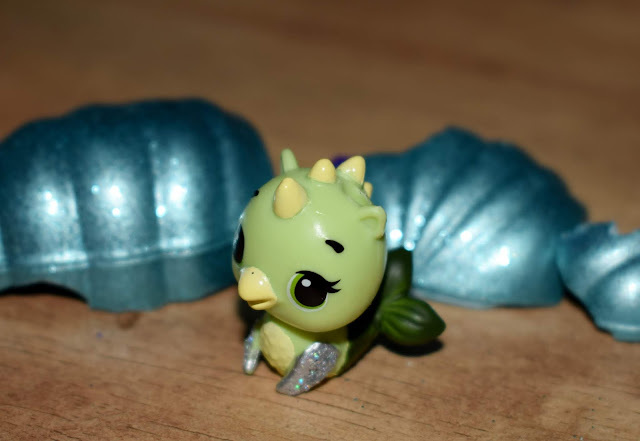 It is amazing all the different things Hatchimals are bringing out. I can see these being very collectable. Oh wow what a super cute idea! I love how Hatchimals just keep coming up with more and more new ideas! Adorable! I’m sure that my niece will totally like Hatchimals CollEGGtibles. I know now what I’ll get for her birthday.